A report by Adrian Florido for NPR. The September 2017 storm dumped so much rain onto the town’s only cemetery that it triggered a landslide. The flow of mud and water was so powerful that it damaged nearly 1,800 tombs — expelling caskets from their graves and sending some of them tumbling down a hillside. The damage was so extensive — and so horrifying — that health officials locked the cemetery gates. They haven’t been reopened in the 14 months since. And so, for the families and friends of those buried in the Lares Municipal Cemetery, every day has only brought more heartache. 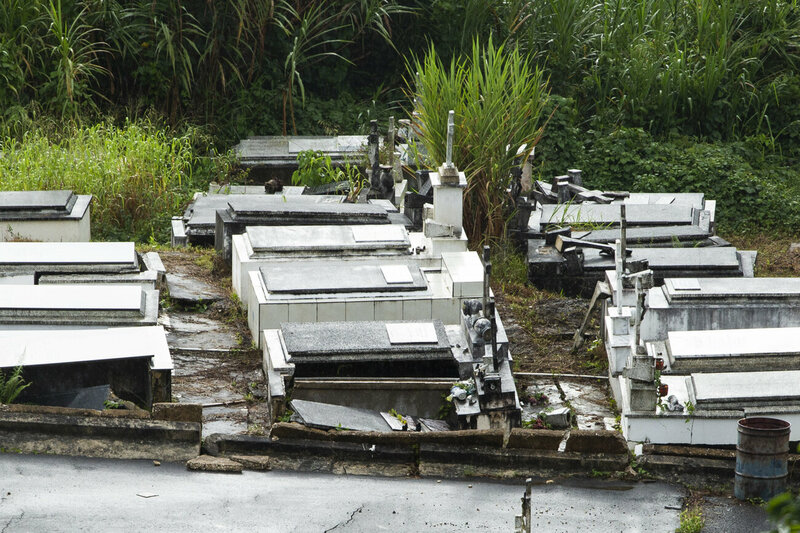 After the hurricane, the Puerto Rico Department of Health closed the cemetery, calling the open graves a health risk. More than a year later, there is no plan in place to repair and reopen it. Now, the town’s residents are furious that officials have yet to make any repairs. And the longer they’ve been kept out, the more desperate they’ve grown to get in. They want to see the damage to their family members’ tombs but are also fearful of what they’ll find. Across Puerto Rico, people are trying to leave the traumas of Hurricane Maria behind. But doing so has been impossible because the pace of the island’s reconstruction has been so slow. In Lares, the unrepaired destruction in the town’s cemetery has been an especially brutal reminder of everything the storm took. The yearning for closure — for peace of mind — has led many residents to take drastic measures. 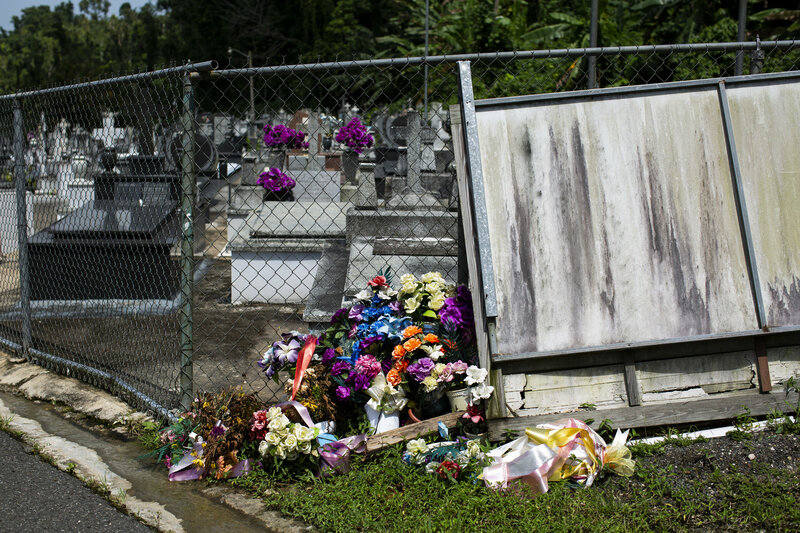 Since the start of the year, more than 50 people have gotten permits to exhume the cadavers of their loved ones and take them away, according to figures provided by Puerto Rico’s health department. 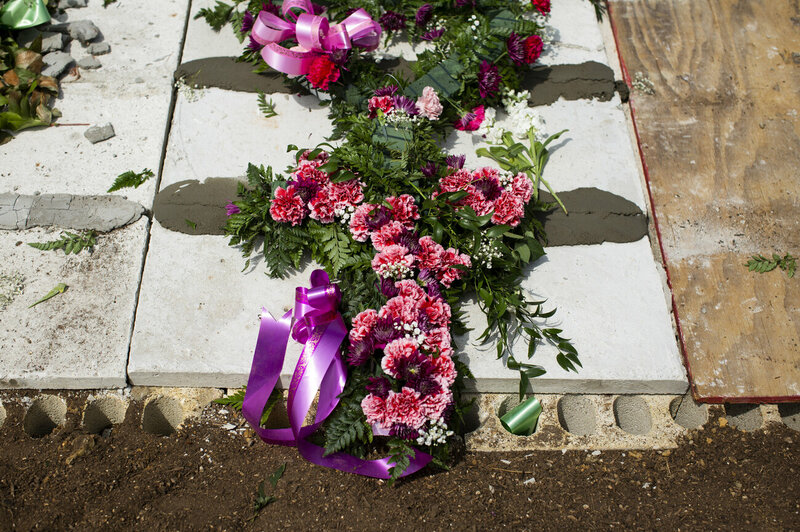 After the hurricane, Viera tried for more than two months to get into the cemetery so he could cover the tomb of his daughter Madeline, who was 24 when she died, with a blue plastic tarp. But the cemetery’s administrators wouldn’t let him in. As he walked down the hill toward his daughter’s grave, he passed hundreds of tombs that had crumbled like chalk when the hillside gave way. “I saw broken caskets. I saw skeletons,” Viera said, recalling an awful stench. He found that his daughter’s tomb had cracked open on the side and that its marble slab cover had been blown off. Her coffin was still inside. It wouldn’t be for long. A couple of weeks later, on the day after Christmas, he went to the health department and pulled an exhumation permit so he could remove Madeline’s body and bury her somewhere else. Many residents want to see the damage to their family members’ tombs but are fearful of what they will find. “I wasn’t going to leave her there like that, exposed to the sun, the rain, the elements,” Viera said. He took a $12,000 loan and bought a plot in a private cemetery in the city of Arecibo, on Puerto Rico’s northern coast. In Lares, the unrepaired destruction in the town’s cemetery has been an especially brutal reminder of everything the storm took. Lares’ mayor, Roberto Pagán Centeno, said the pressure he has gotten from constituents has been overwhelming. They come find him at City Hall, across from the Catholic Church on Lares’ picturesque public square. But the mayor tells them it’s out of his hands. The health department’s order to keep people out is still in effect. And he said it will be for the foreseeable future because work on the cemetery is still months off, if not more. Mayor Roberto Pagán Centeno says the cemetery is not structurally sound and that it must be stabilized before the public can be allowed back in. However, no new burials would be allowed. His plan to resolve what he called “the crisis” first requires opening a new cemetery in a barrio on the other side of town. Then, what would have once seemed unimaginable: Workers will exhume all 4,000 of the cadavers buried in the damaged tombs and take them to the new cemetery for reburial. The ground in the old cemetery will be stabilized, and only then, Pagán said, could the public be allowed back in to visit tombs in the undamaged sections. The plan faces many hurdles. Among them are the fact that his town’s government has neither the money nor the technical expertise to do the work on its own. When there was a smaller landslide at the cemetery five years ago, the National Guard was called in. Verifying the identities of all the transferred cadavers will be another hurdle, given that many tombs were dislocated. “We are a small town with few resources,” Pagán said. He said that despite promising to do so, the island’s health secretary has failed to help. He said getting help from FEMA has also been a challenge. 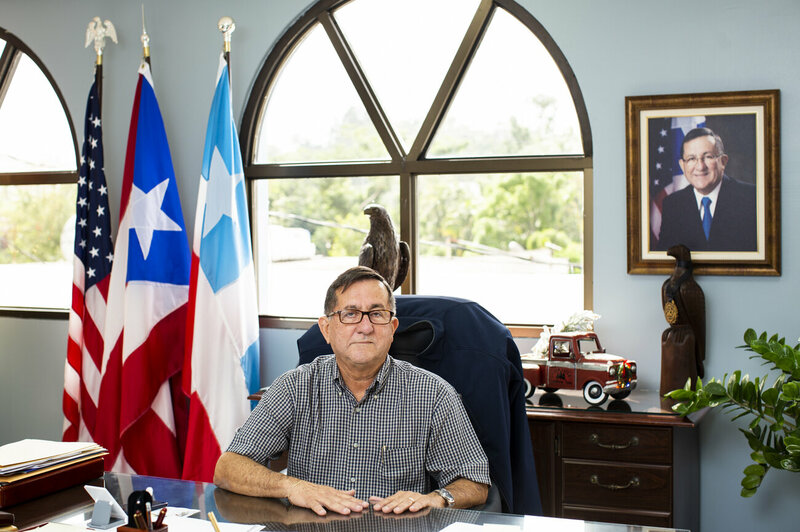 Only recently, the mayor said, did the island’s interior secretary say he would get involved. Pagán has identified a plot of land for a new cemetery. His plan to resolve what he called “the crisis” requires transferring bodies from the damaged cemetery to the new site. But the mayor says the town doesn’t have the money or expertise to do that. 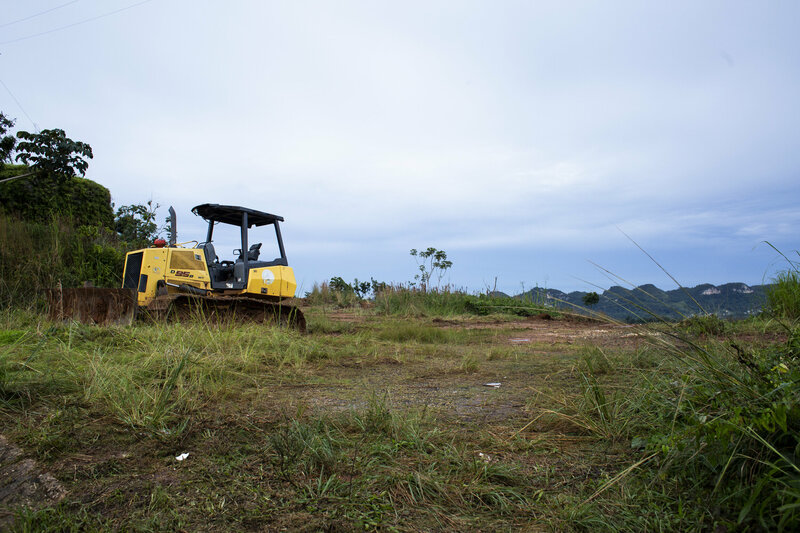 Eric Perlloni, a spokesman for Puerto Rico’s health department, said that contrary to the mayor’s claims that Puerto Rico’s health secretary had promised to help, the agency’s only role is to ensure that any work completed in the cemetery conforms to health and safety standards. A spokeswoman for the island’s interior secretary, Raúl Maldonado Gautier, did not respond to several requests for information. In early October, a spokesman for the Federal Emergency Management Agency said the agency was processing a request from the mayor for $200,000 for work in the cemetery. He also said the agency was involved in plans to open a site for temporary burials until the permanent cemetery is complete. Last week, nearly two months later, a FEMA spokeswoman said there were “no updates” on either matter. 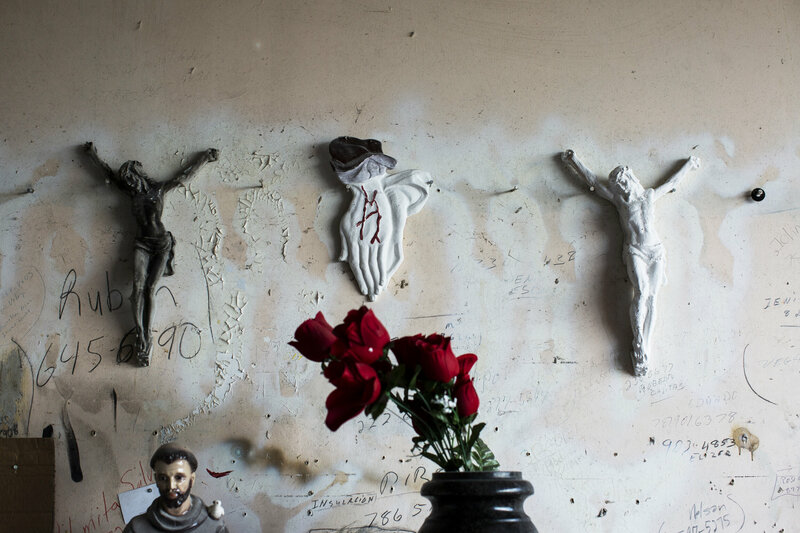 Religious objects found in a tombstone maker’s workshop near the Lares Municipal Cemetery. Meanwhile, in Lares, each day the cemetery remains closed seems to deepen the town’s collective despair. 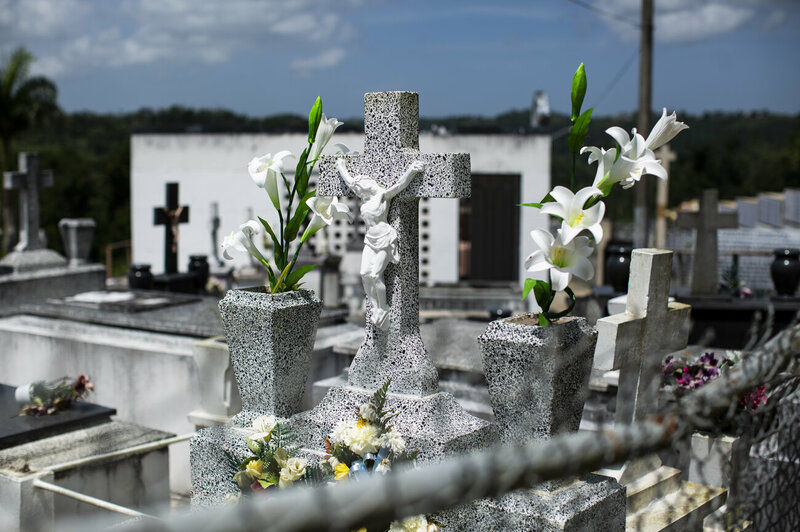 Luis Salcedo, who owns the town’s oldest funeral home, said that beside the desperation many people feel at being unable to visit the tombs of their loved ones, the greatest source of pain is that the cemetery’s closure also means new burials are prohibited. 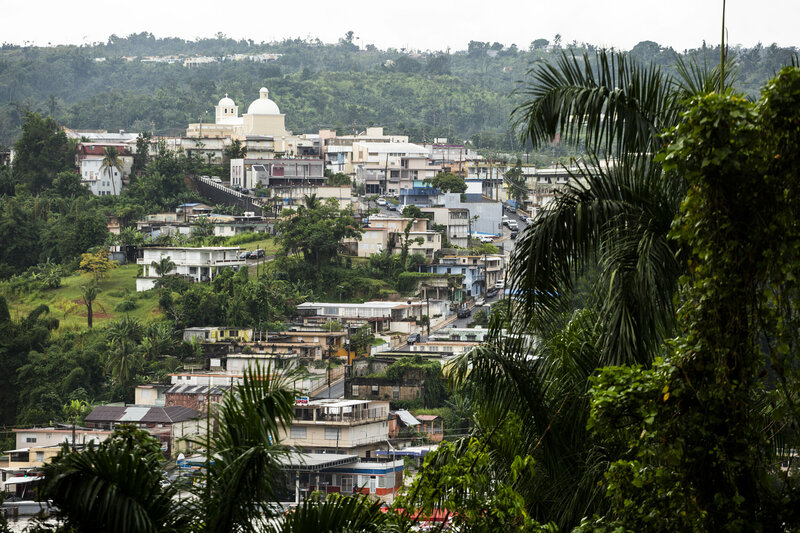 About 200 people die in Lares each year, Salcedo said, mostly lifelong residents who had expected to be buried in their hometown. 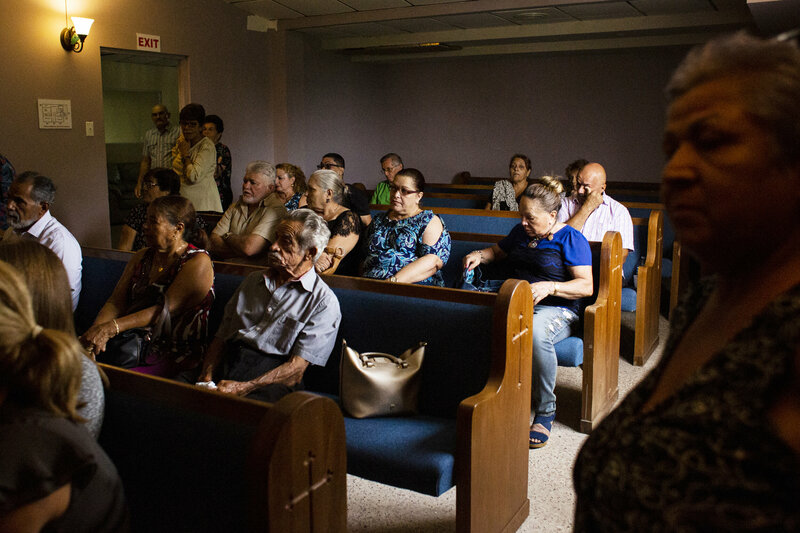 Family and friends attend the funeral of Angélica Irizarry at the Funeraria Boneta in Lares. 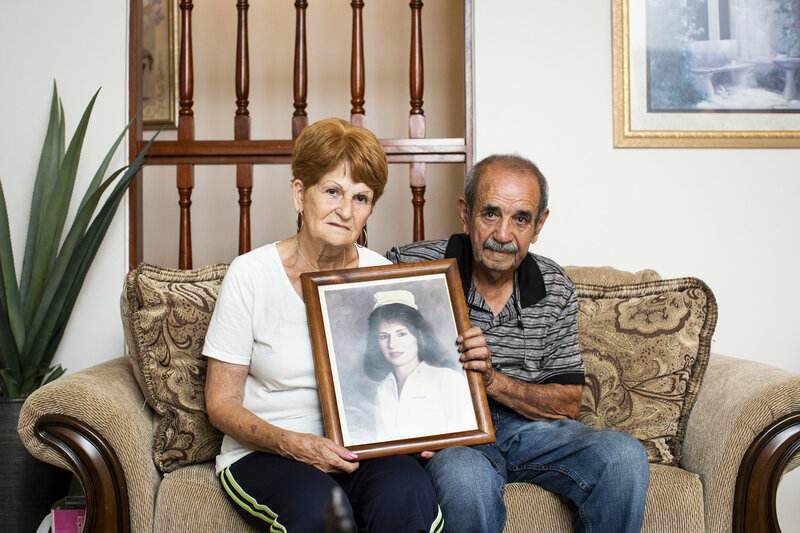 Because of the damage in the cemetery, Irizarry’s son had to bury her in Camuy, 40 minutes away. Later this month, residents plan to show their indignation at the lack of progress by marching to the cemetery’s padlocked double gates in mournful protest, dressed in black. Irizarry had left Lares when she was around 15 and spent most of her life working in factories in New Jersey. But she always dreamed of returning to the mountain town. Gary Nuñez (center) sings as family and friends pay their respects at Irizarry’s wake. Instead, he had to go to the coastal town of Camuy and ask the mayor for permission to bury his mother in the municipal cemetery there. 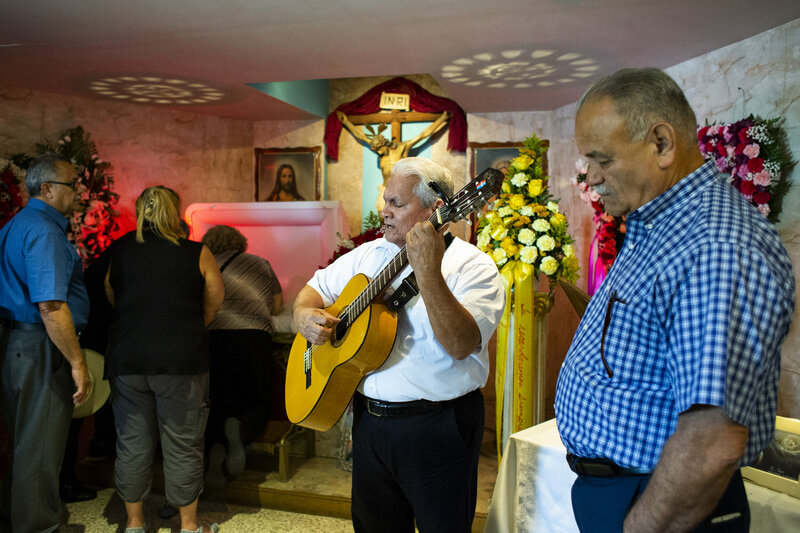 At her wake, a trio of musicians saw Irizarry off by singing the songs traditional to the communities of Puerto Rico’s mountains. Then her casket was loaded into a hearse for her final ride down the mountains she loved. 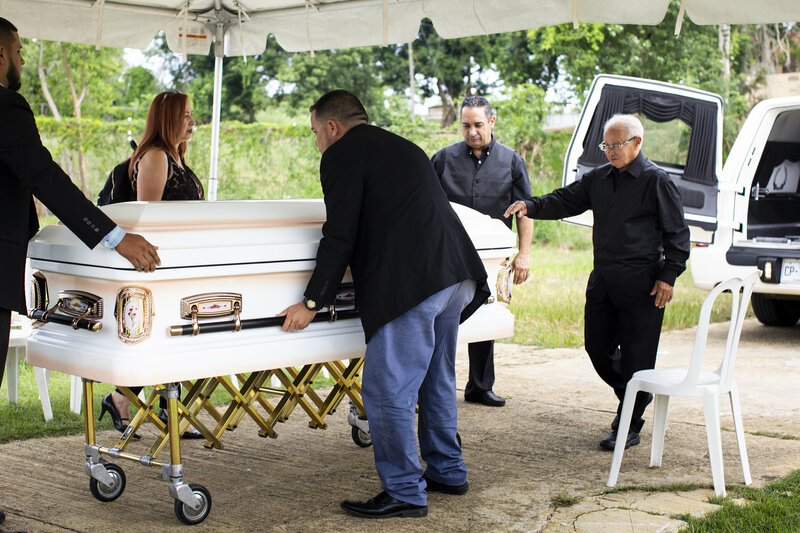 Armando Colón (second from right) helps lift his mother’s casket out of the hearse at a cemetery 40 minutes away from Lares. Maldonado said this was the worst trauma Hurricane Maria could have inflicted on them. It wasn’t the damage to their house or the months without electricity. It was having to dig her daughter’s body up and take it away. 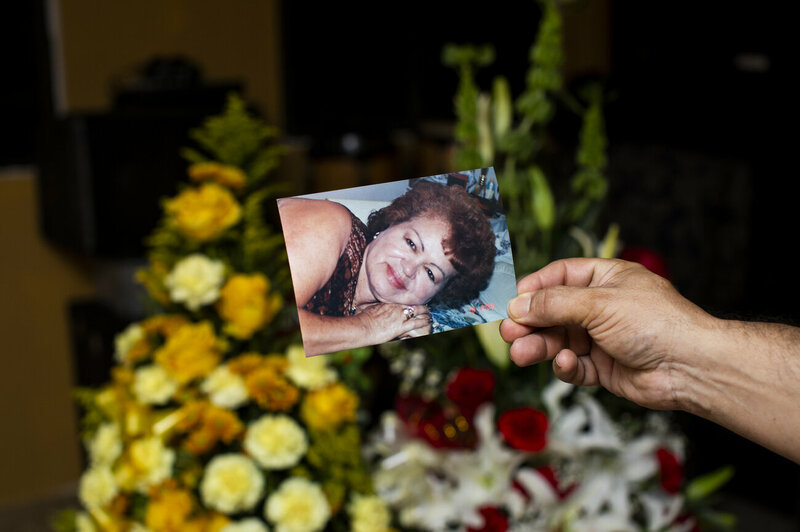 When they lowered Madeline’s casket into the ground at the new gravesite in Arecibo, Maldonado collapsed into her husband’s arms.